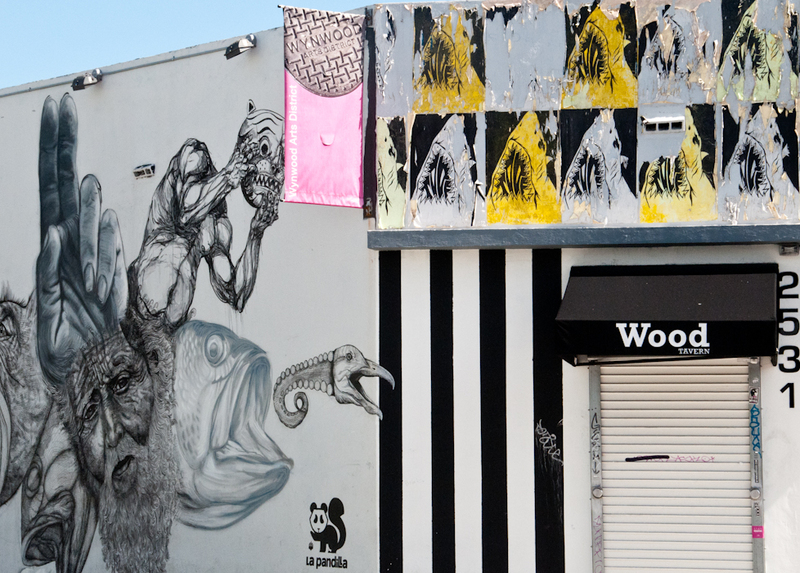 After our Cuban lunch yesterday we took a drive and walk around the Wynwood Arts District. 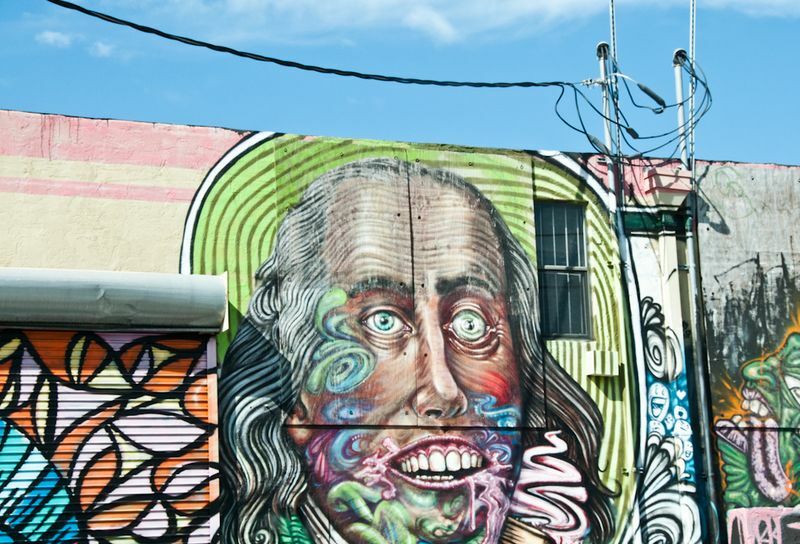 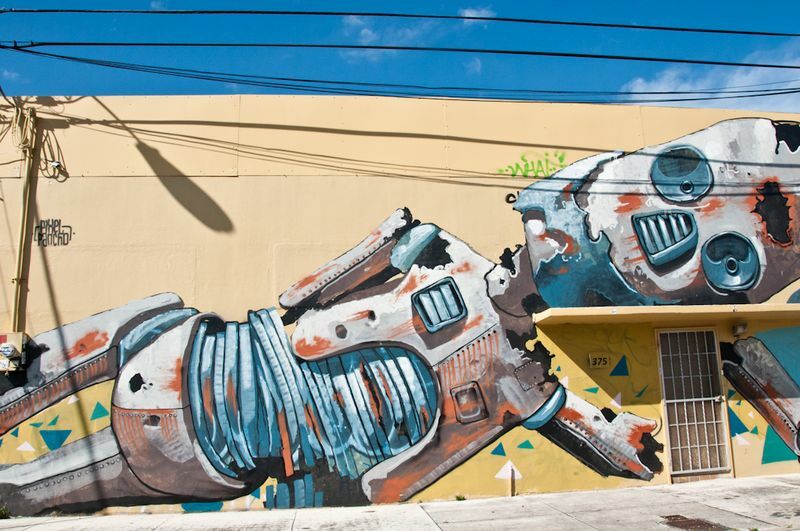 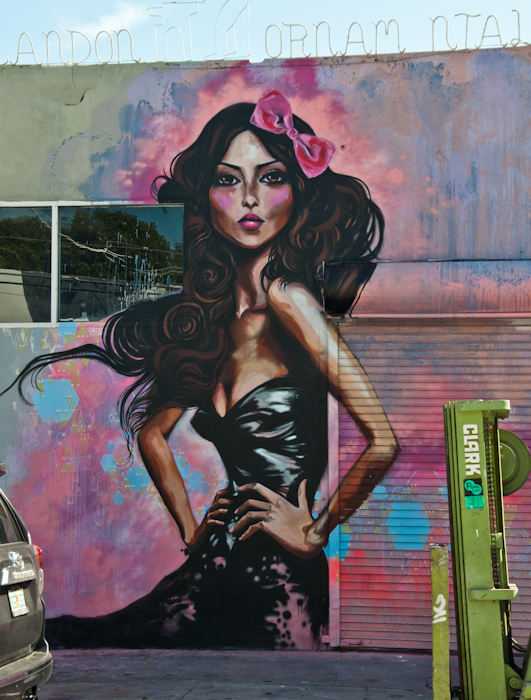 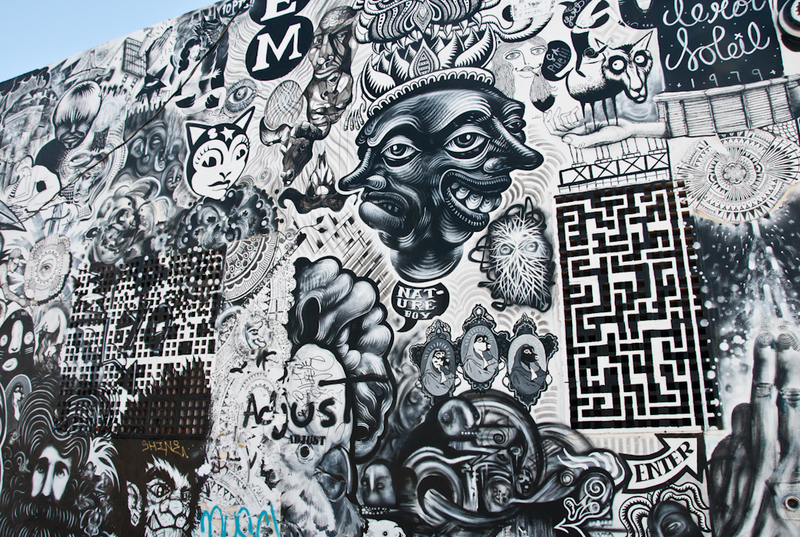 Wynwood is an area with a large number of art studios and galleries and is home to the Wynwood Walls — an outdoor permanent mural exhibit featuring some of the worlds most renowned street artists. 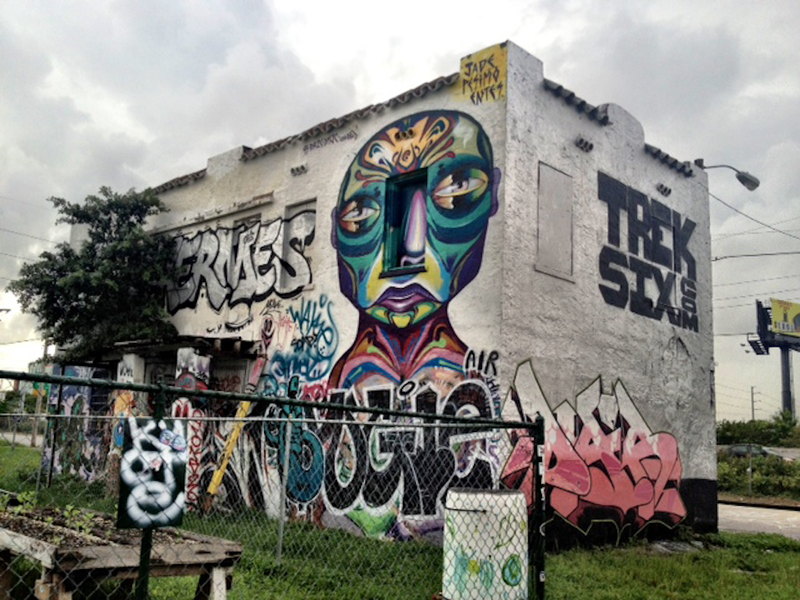 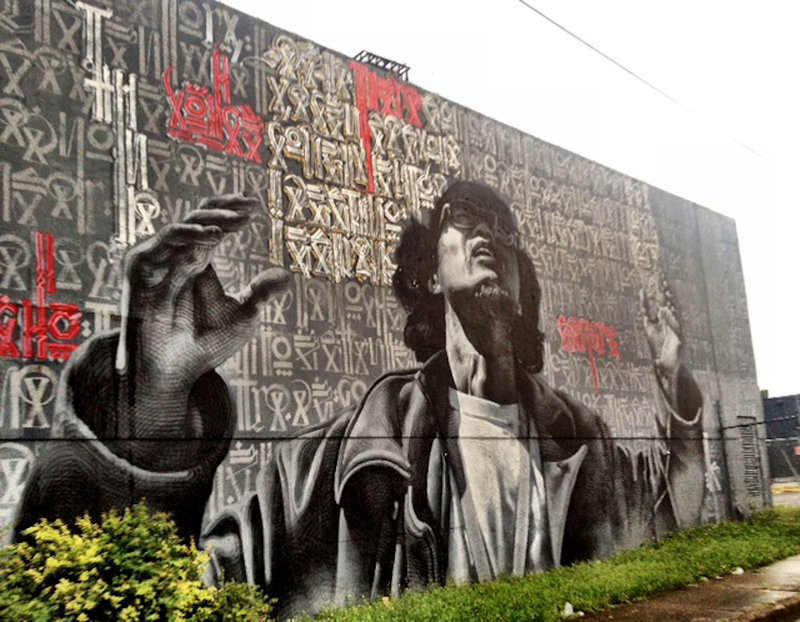 There are hundreds of other street art and graffiti murals around the area as well. 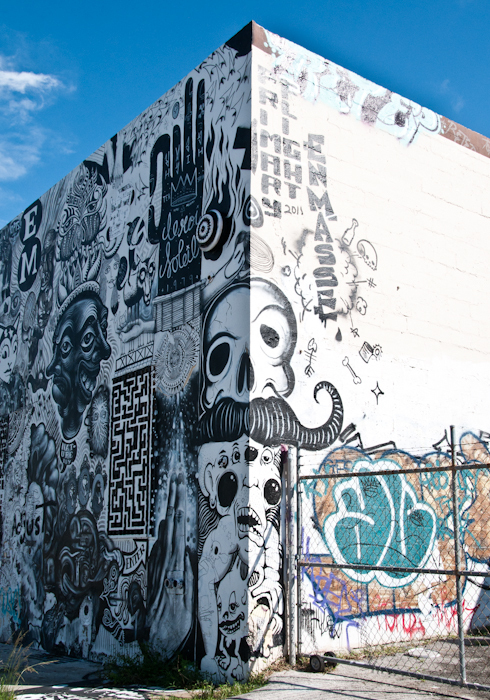 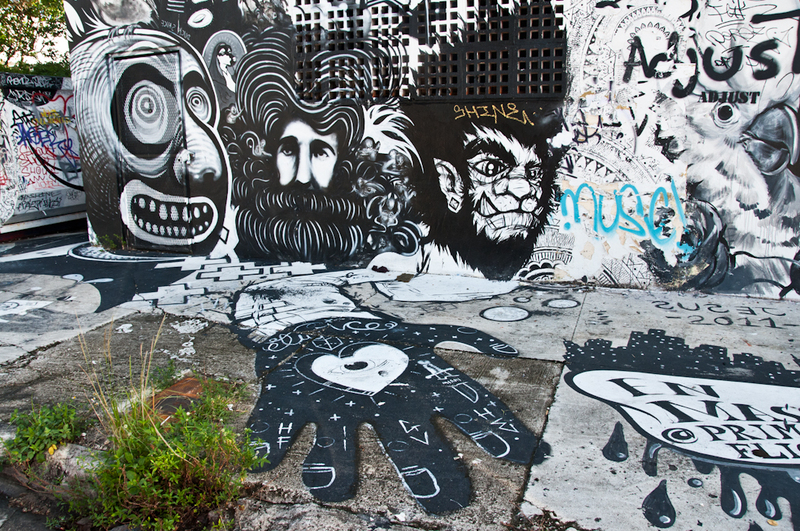 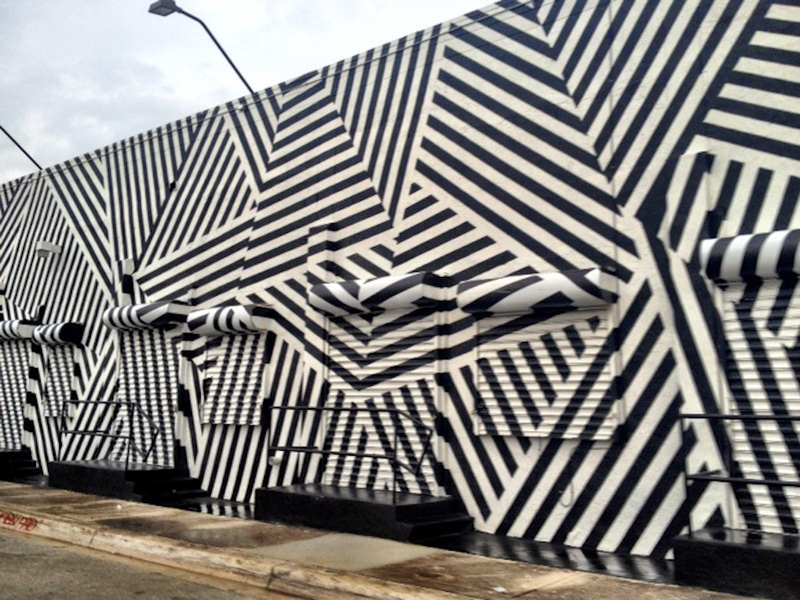 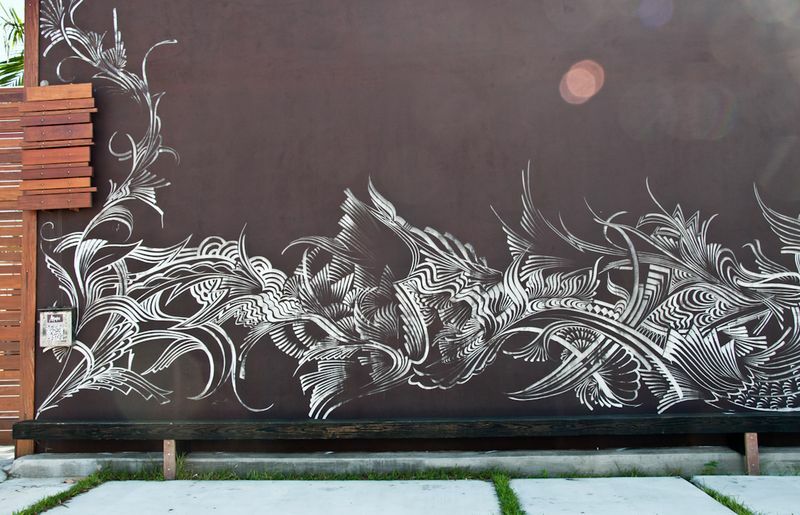 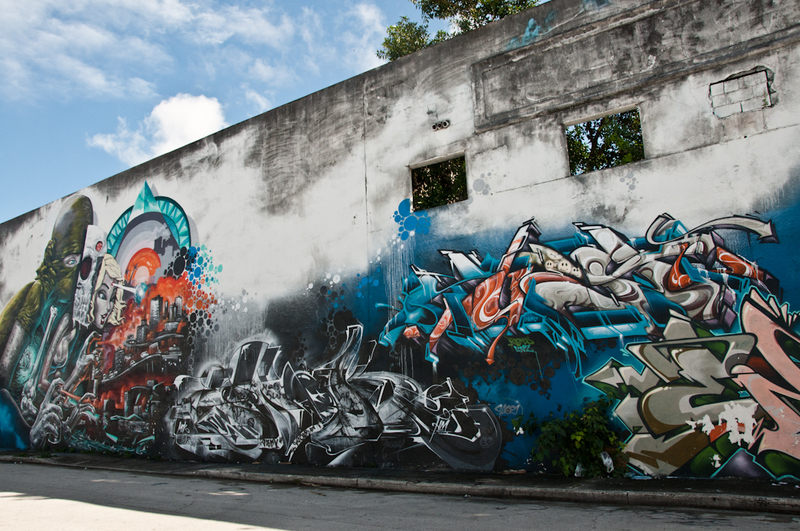 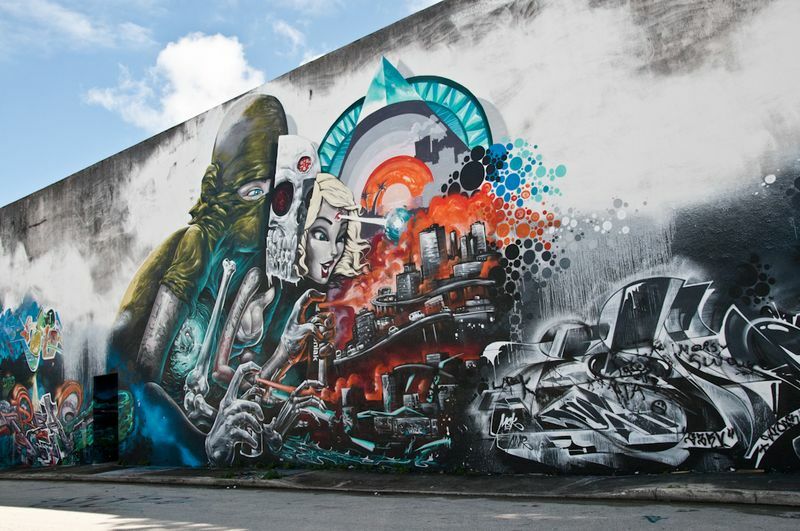 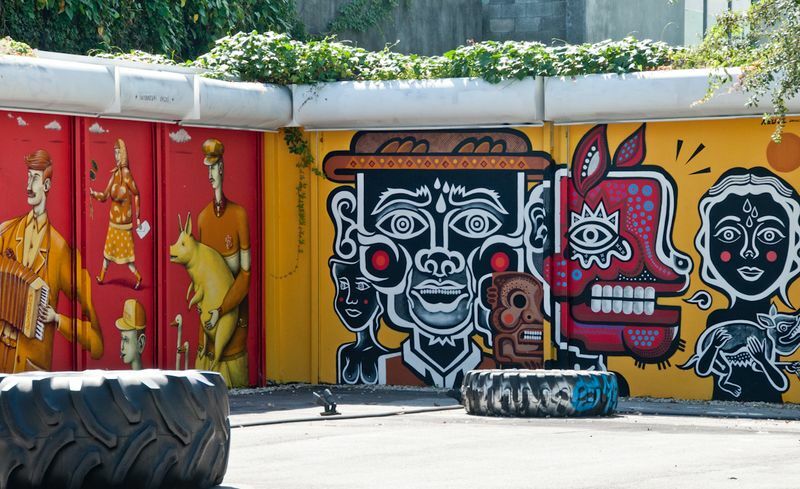 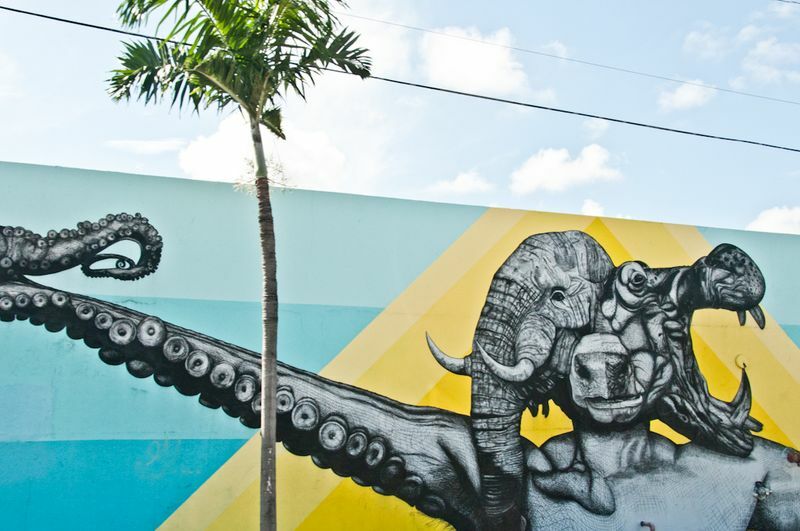 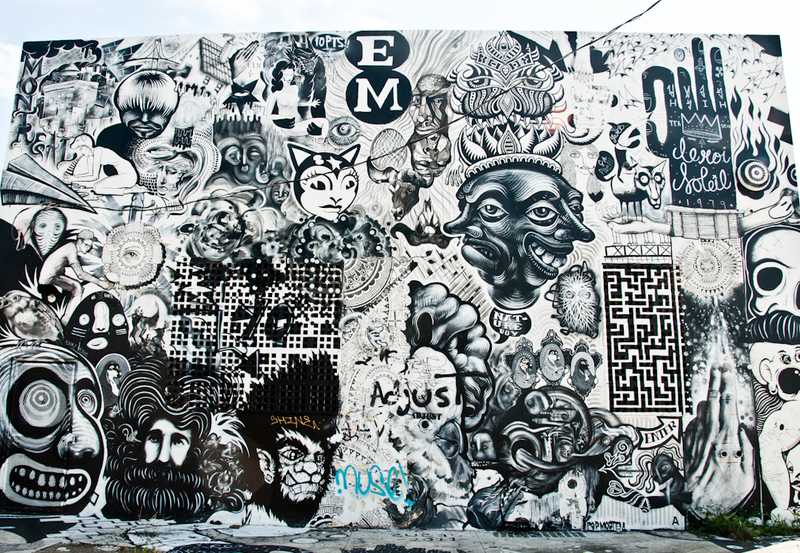 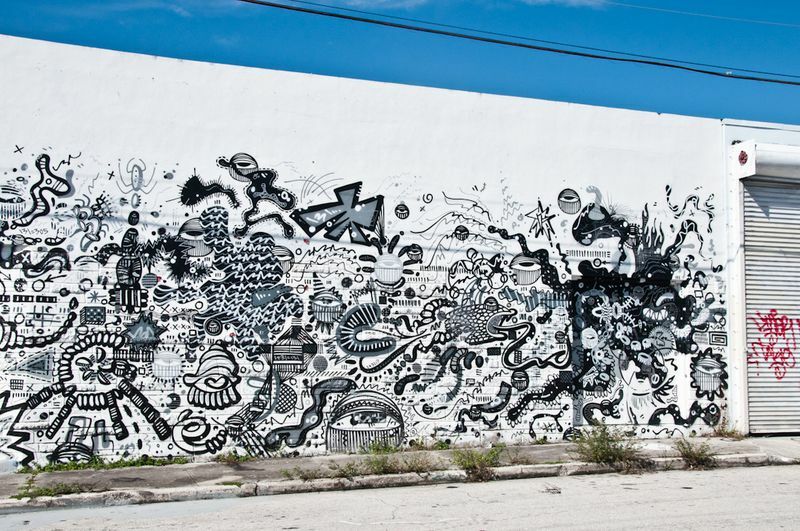 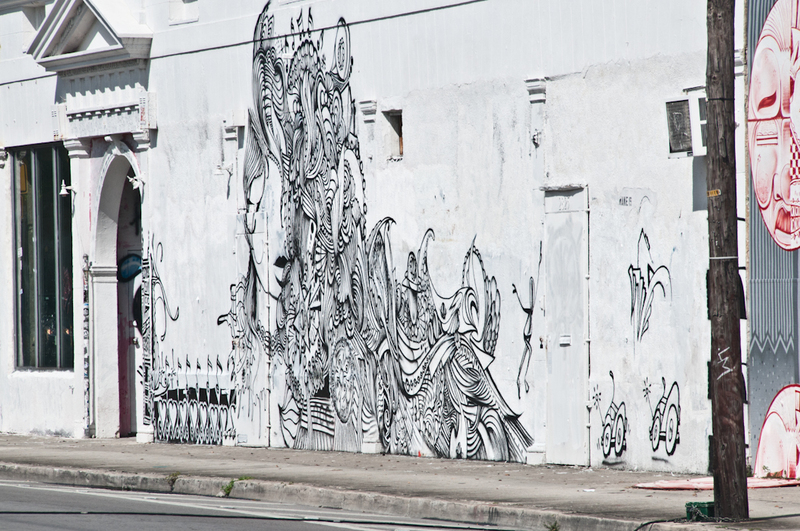 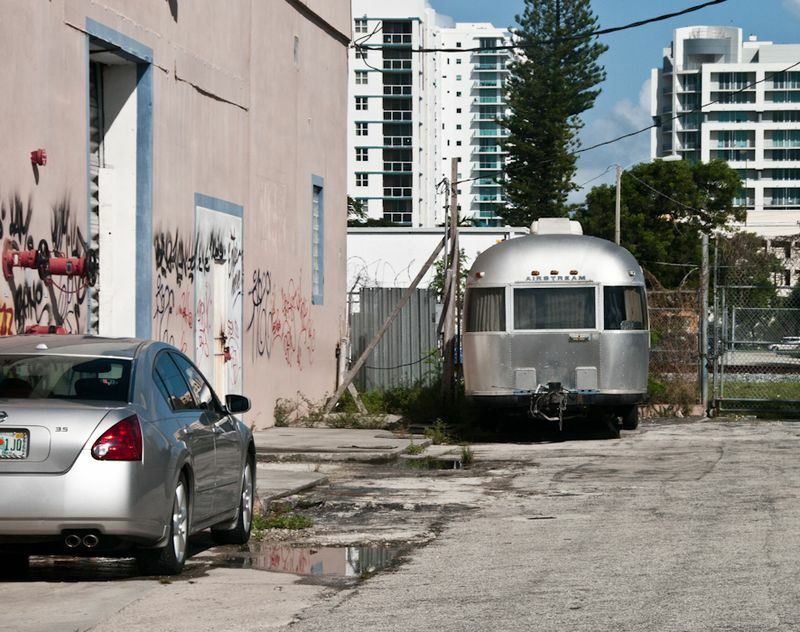 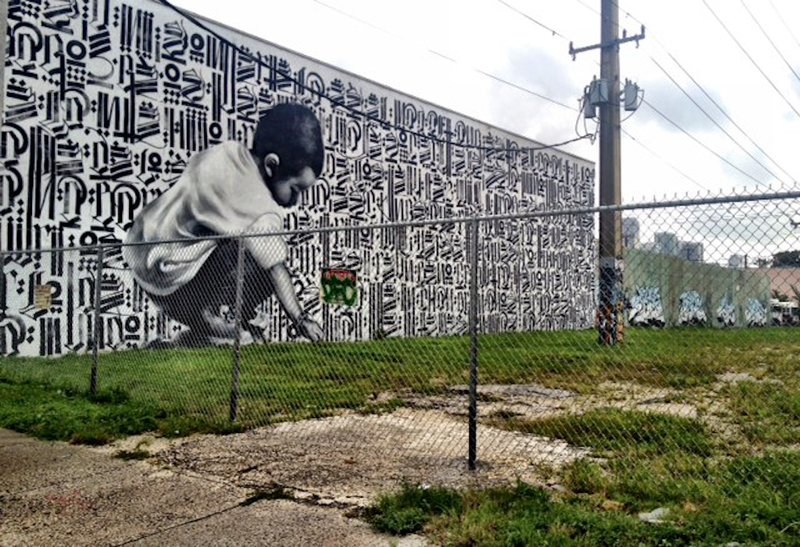 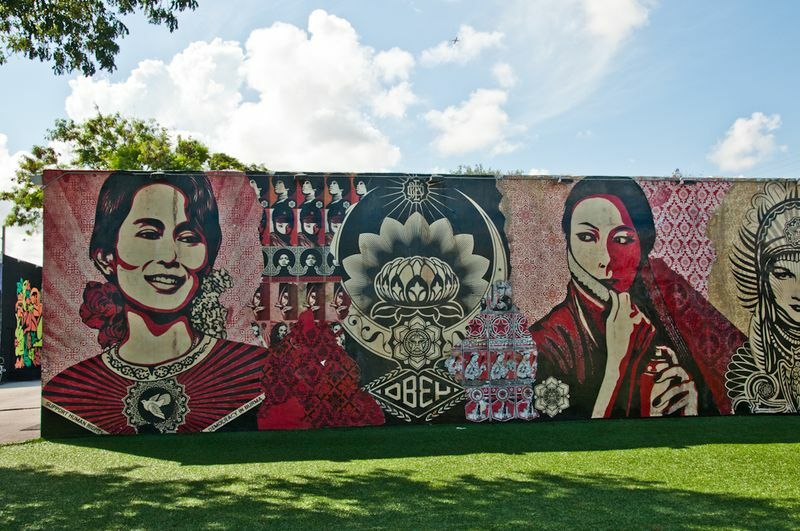 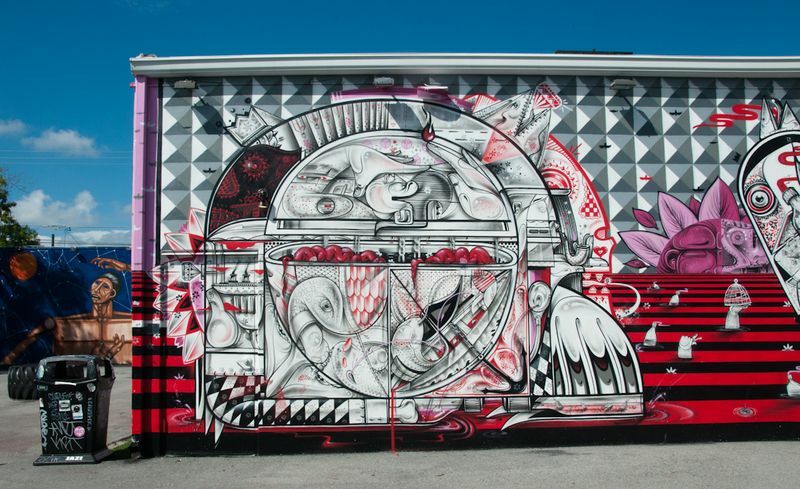 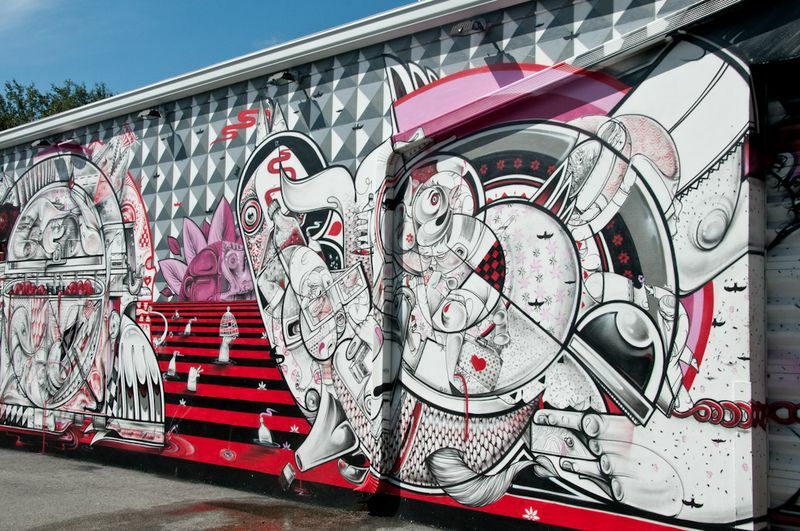 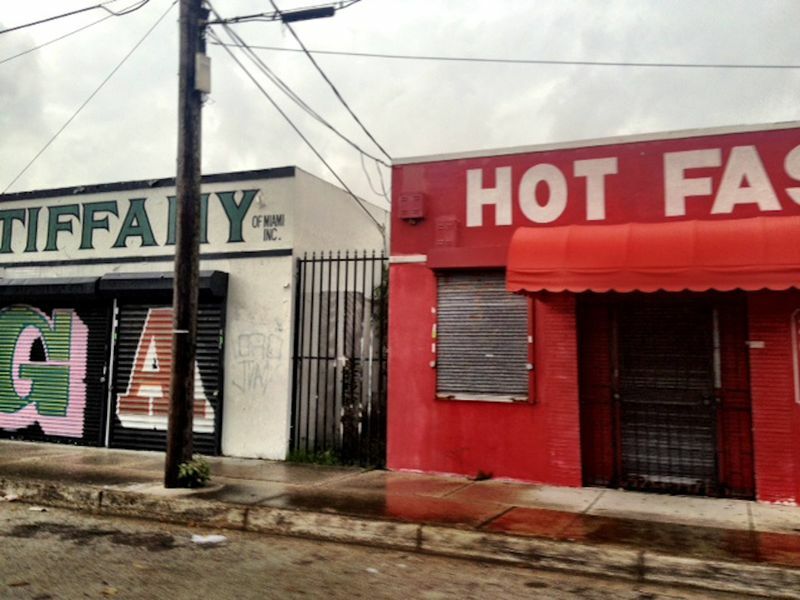 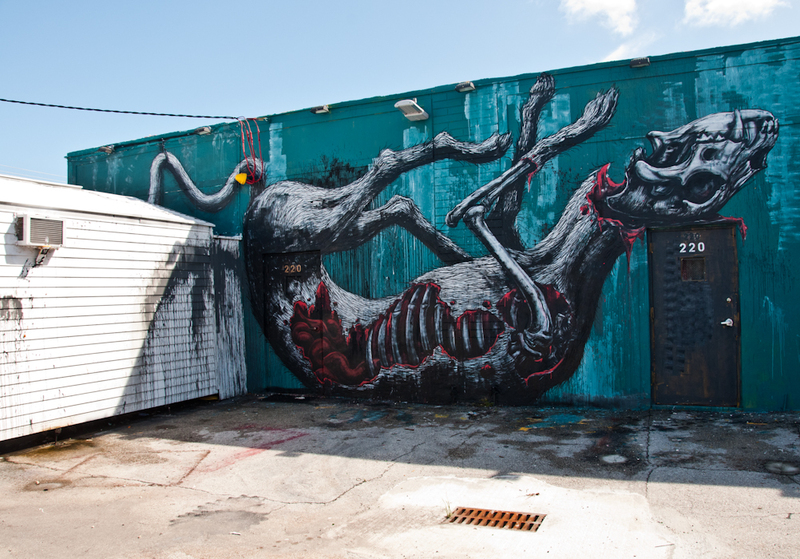 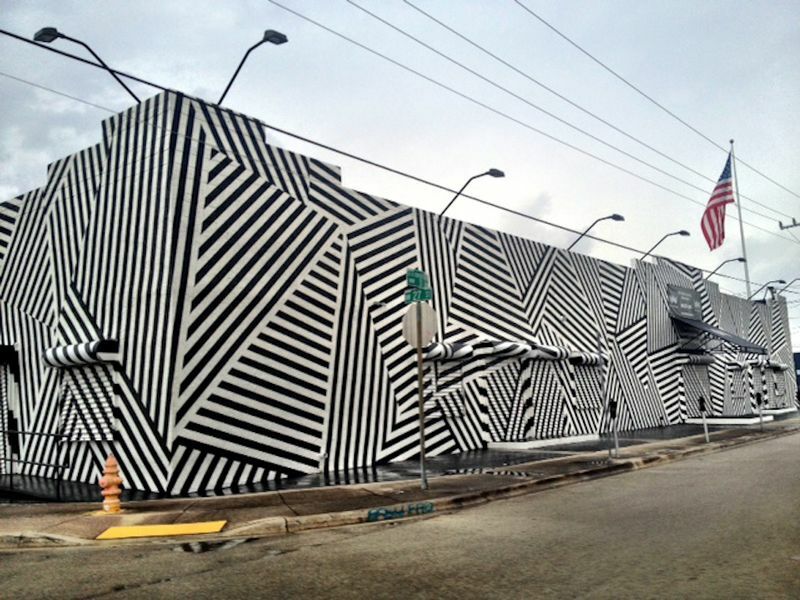 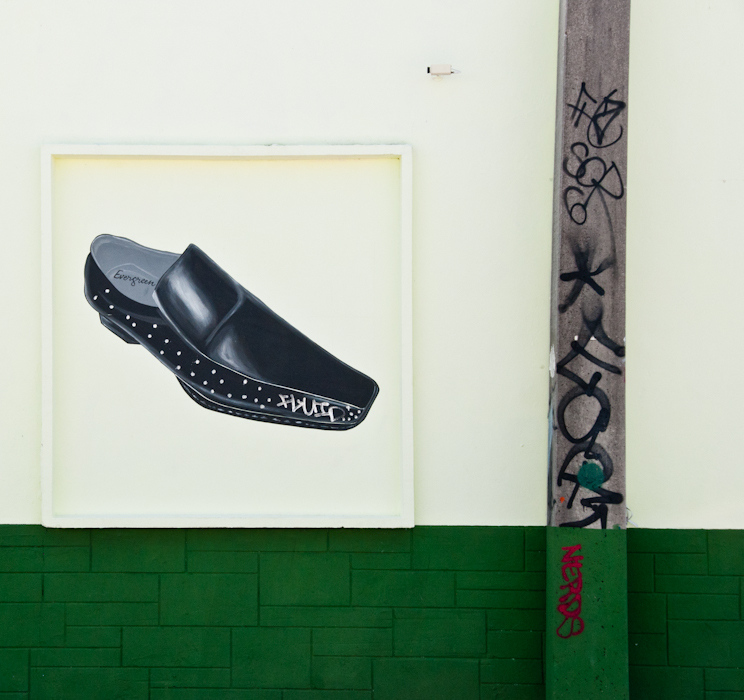 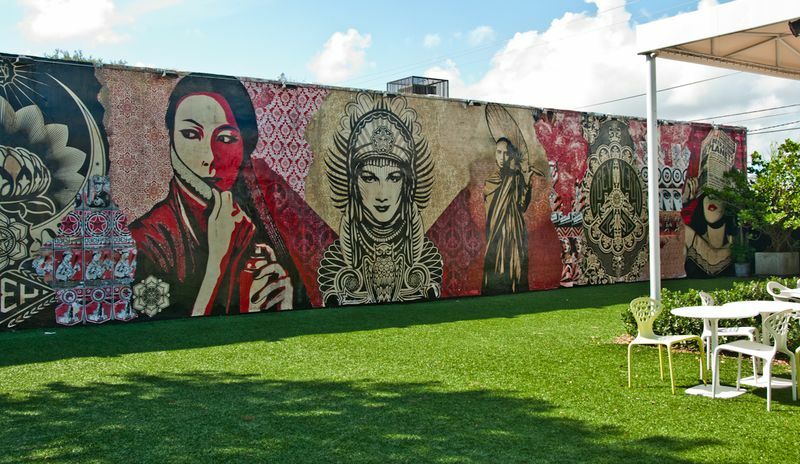 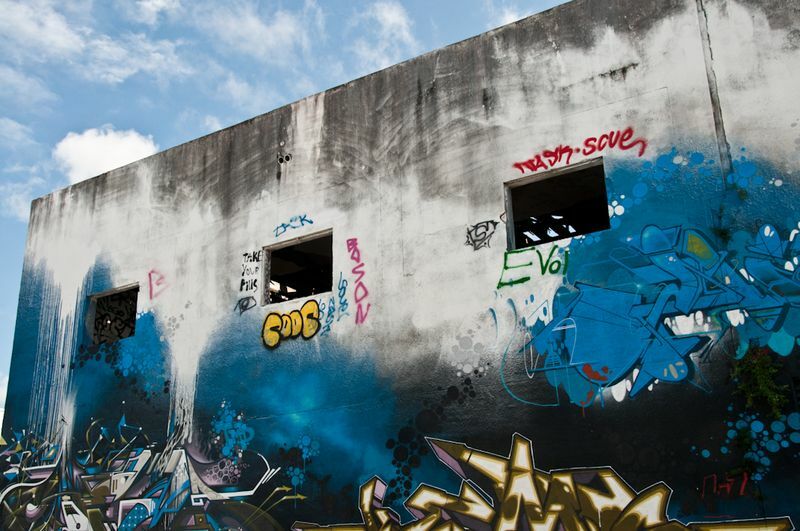 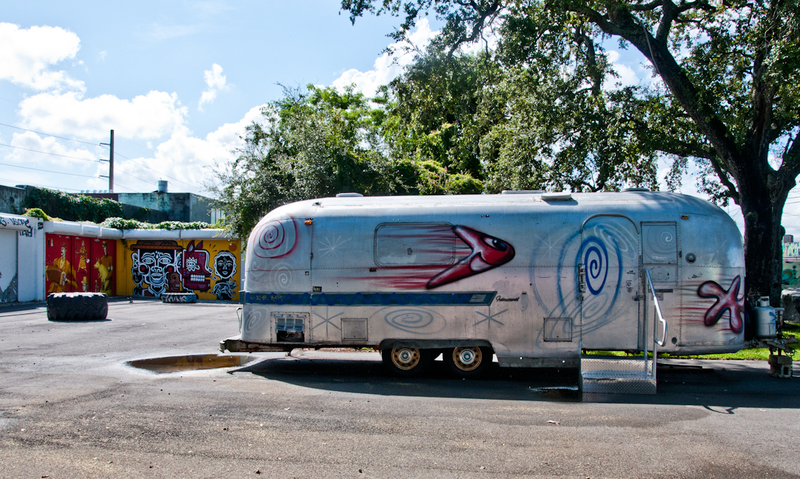 The Wynwood Walls was conceived by the renowned community revitalizor and placemaker Tony Goldman in 2009. 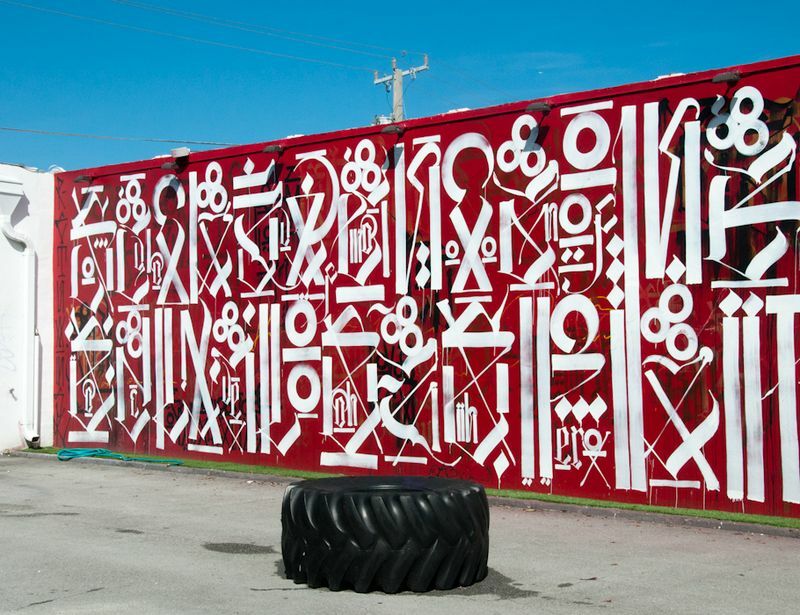 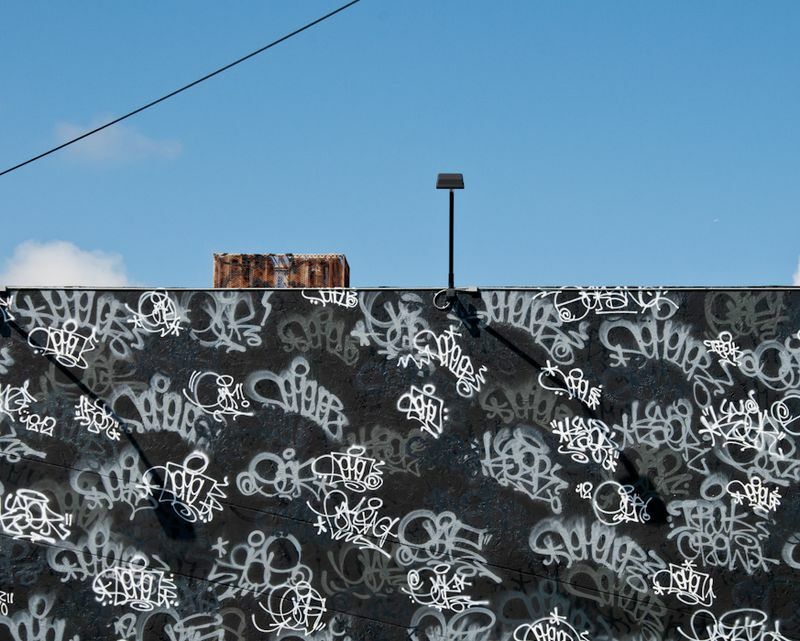 He was looking for something big to transform the warehouse district of Wynwood, and he arrived at a simple idea: "Wynwood's large stock of warehouse buildings, all with no windows, would be my giant canvases to bring to them the greatest street art ever seen in one place." 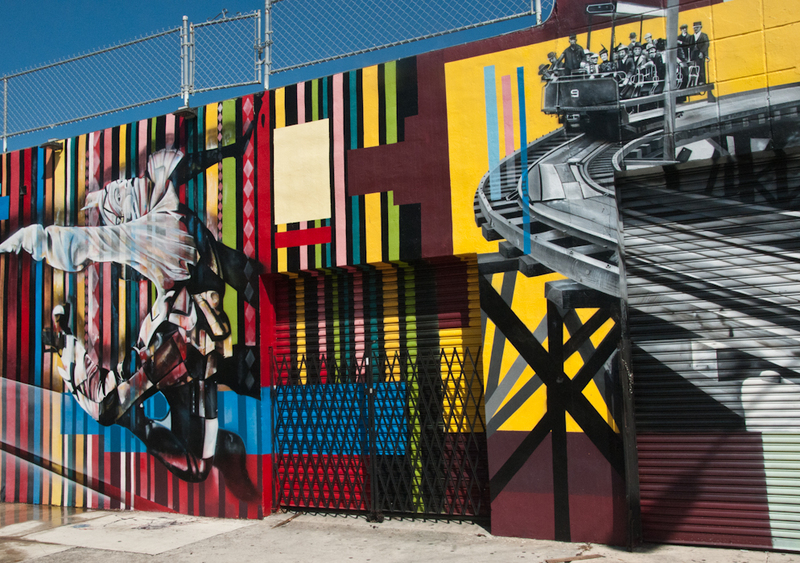 Starting with the 25th–26th Street complex of six separate buildings, his goal was to create a center where people could gravitate to and explore, and to develop the area's pedestrian potential. 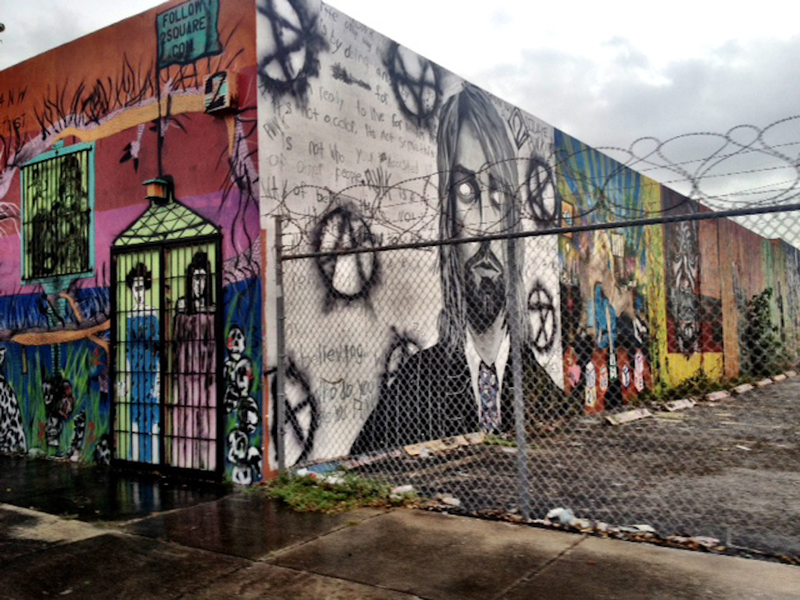 It's a pretty remarkable place with some incredible street art. 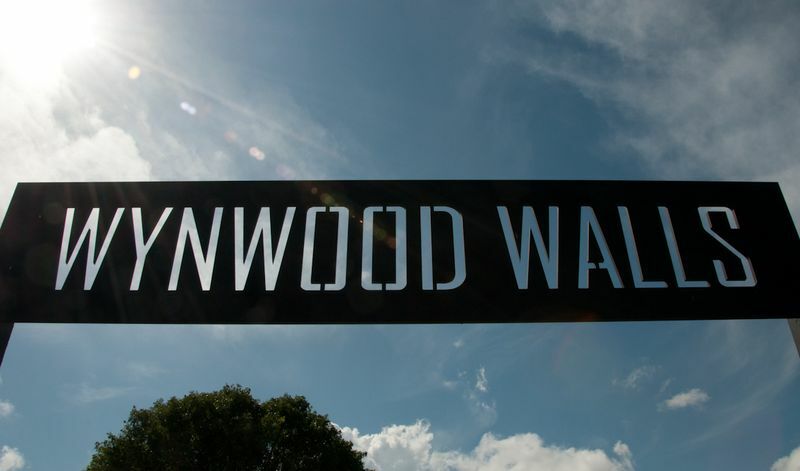 If you're down this way, we highly recommend exploring this area a bit.